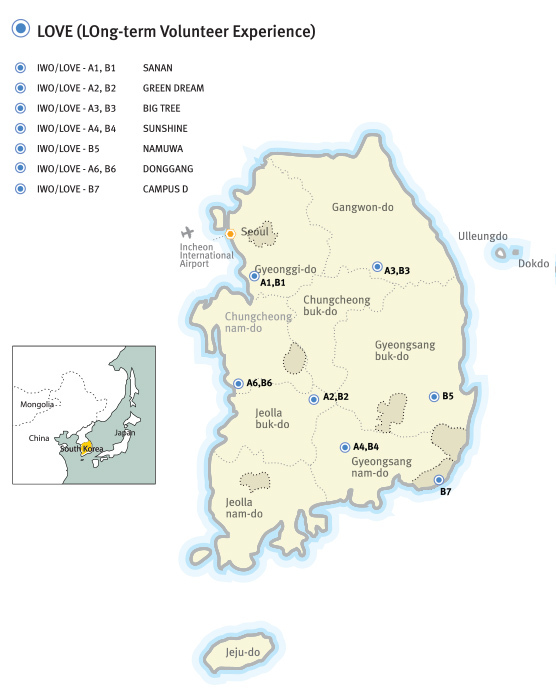 LOVE Korea is 'Korea UNESCO ESD Official Project'. In 2002 the United Nations (UN) proclaimed the years 2005 to 2014 the World Decade of Education for Sustainable Development. The UN Decade of Education for Sustainable Development in Korea is being implemented under the patronage of the Korea UNESCO. 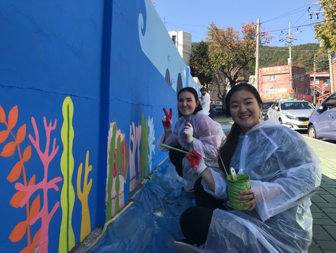 LOVE Korea is leading an innovative practice for Education for Sustainable Development (ESD) as a program creating opportunities for exchange between international volunteers, local communities and people in Korea. 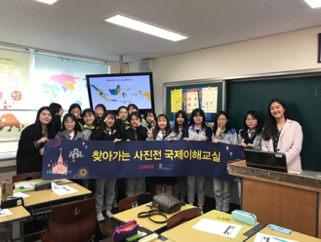 The main purpose of LOVE Korea program is to exchange cultural diversity and to positively influence the host organization and local community by actively fulfilling the missions of each project position for the Education for Sustainable Development. 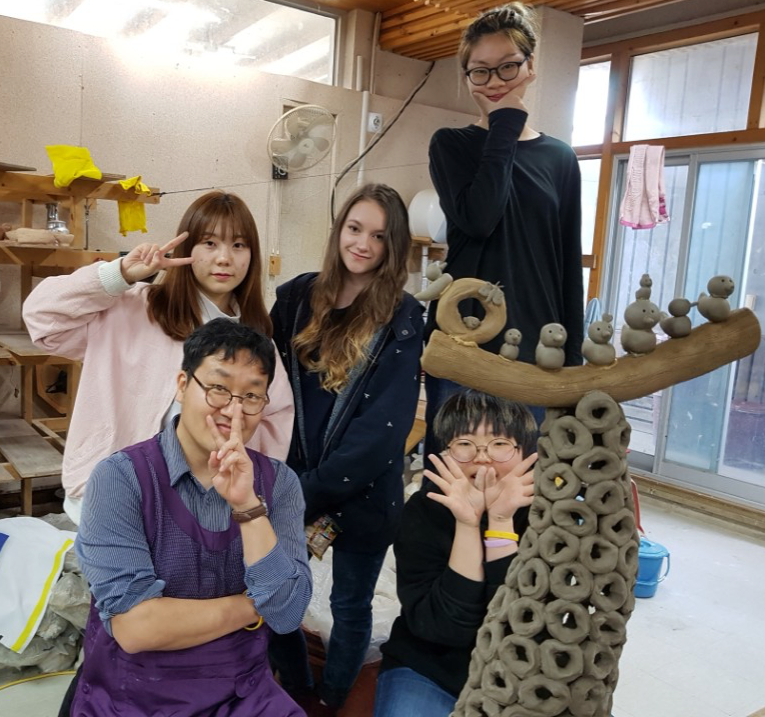 - Understand and experience real "Korean culture & life"
There have been about 502 international volunteers who have participated in LOVE Korea program from 45 countries all over the world since 2003. 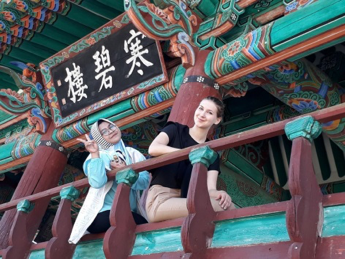 This LOVE Korea program is getting popular as years go by due to highly evaluated by the previous volunteers and increased attention to Korea itself. 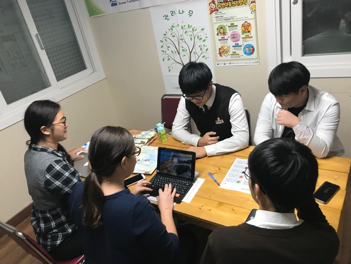 LOVE Korea is a program to generate great synergy between volunteer and local community in Korea by doing various activities related social development that improve life in and around of each projects and education that improve English skills and intercultural understanding of local children and local people. They are distinguished from three different types of project sites which are community, alternative school and local children center. Each project has its own theme, purpose and characteristics. 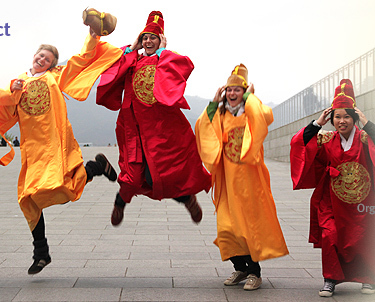 Volunteers can experience and learn its own value and local Korean cultures. Volunteers will contribute in many different facts such as social, environmental, agricultural and kid & youth educational development projects in and around the project site. 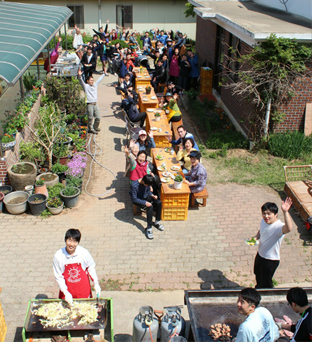 Through LOVE Korea program volunteers will make a difference by taking part in our program for 3 months. Volunteers can make a valuable contribution for youth and local communities that local children improved their English skills and promoted global mind through inter-cultural learning from and various experiences with foreign volunteers. 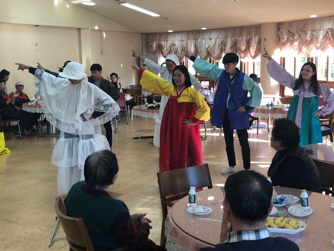 In the meantime, LOVE Korea program is a great opportunity for volunteers to understand Korea and Korean culture and immerse themselves in the local culture. We are looking forward to meeting motivated and active volunteers from all over the world for this year. International Workcamp Organization is a non-profit and non-governmental organization established in 1999 to promote Peace and Development, Citizenship and Youth Empowerment through inter-cultural exchange and international volunteering. We are an executive community member of CCIVS (Coordinating Committee for International Voluntary Service) at UNESCO, Paris and a member of NVDA (Network for Voluntary Development in Asia). We are also a member of Alliance of European Voluntary Service Organizations. Hereby we would like to introduce our mother organization called Better World. Better World contributes to the sustainable global society through international development and cooperation while also educating youth as global citizens and developing their competence through global action. Our International Volunteer Projects offer young people the opportunity to join international voluntary service on community-based projects in over 70 countries worldwide. The projects differ enormously ranging from nature conservation, restoration, education and construction to projects that are more socially based including work with adults and children with special needs, teaching or organizing youth/children's holiday schemes. The volunteer can chose the project he/she would like to be in and those who are accepted for the project work with other multicultural volunteers as partners who are interested in the project as like you from all over the world. 2 or 3 volunteers become a team to work in the project for 3 months. International volunteers will mainly work with the host of the project for assisting them and teach the youth and children of local community. Volunteers should be prepared to be flexible with regard to their project placement. We hope that volunteers contribute their passion and efforts to each project all across the country in Korea. Volunteers must be between 19 to 40 years old. All volunteers are required to speak English well enough to communicate and carry out the project activities. 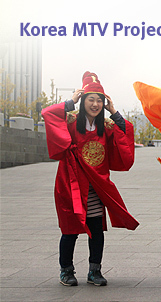 learn about Korea and local cultures. site. 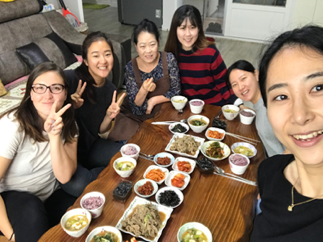 On-arrival training contains LOVE Korea program introduction, conflict management case study, team building, experience Korean culture, regulation and etc. Through this on-arrival training, we will have the chance to become as long-term volunteers and encourage to remain active during whole period of project and will gain the confidence to explore the local area by themselves. 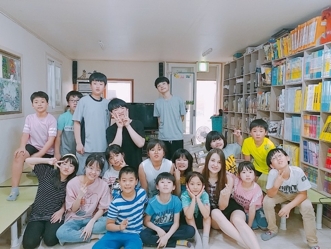 During the project, there will be a mid-term evaluation for 2 days in order to share their own experience, episodes, and skills with the volunteers and recharge. After the project, there will be a final evaluation aiming at final reflection of the program and getting some feedback for the next volunteers. Meals and accommodation are provided during the project period by host organization. However, depending on the project, volunteers may be also required to cook for themselves. Work hours and schedules vary from project to project, but in general working hour is around 5 to 7 hours per day, Monday to Friday. Additionally, you may be asked to join certain activities on weekend if necessary. Volunteers are responsible for organizing their own free time after their daily work and for the weekend. If needed, host organizations will help volunteers to find necessary information on travel. We provides insurance for accidents only during the project. It covers only 40% of the actual cost according to the insurance regulations for foreigners in KOREA. Therefore, volunteers MUST bring their own health and travel insurance and aware of way of compensation, if applicable. Once the applicant is accepted, we will provide a Visa Invitation Letter on request; however, any further paperwork and/or documentation should be prepared and obtained by the participant themselves. It is NO VISA for those who are staying less than 90 days in Korea except China, Russia and Indonesia. Please check with the Korean Embassy in your country concerning proper visa requirements. If you like to stay longer before/after the project up to 1 year in Korea, you may check the WORKING HOLIDAY VISA programs in your country (Australia, Canada, New Zealand, Japan, France, Germany, Ireland, Sweden, Denmark, Ireland, Hongkong, Taiwan). It's easy to get and convenient to use. -There is no airport pick up service by host organization or hosting organizations on arrival, so volunteers need to travel to the orientation site according to the info-sheet presented to them. Public transportation in Korea is very easy and convenient to navigate, so do NOT worry. -Volunteers will move to the project site with 1 or 2 fellow volunteers after arrival orientation. -Volunteers are responsible for all personal travel costs from/to orientation and project site. -All volunteers are required to submit CGC. *All international partner organization should check and inform immediately send to us once they found criminal records. Project : Historically, and even now, human beings have been searching for the true definition of a peaceful, harmonious, and "happy life". In pursuit of the answer to this question, a group of people gathered in 1984 in what is now Sanan Village, an idealistic community which follows the philosophy of an environment-friendly, non-possessive society. As of today, around 20 people reside within this communal village, and the residents are encouraged to pay more attention to the preservation and conservation of the environment while also freely sharing public resources. Since the residents are trying to do all together, the volunteer also need to follow their life style. Main income of the village is chicken farming. 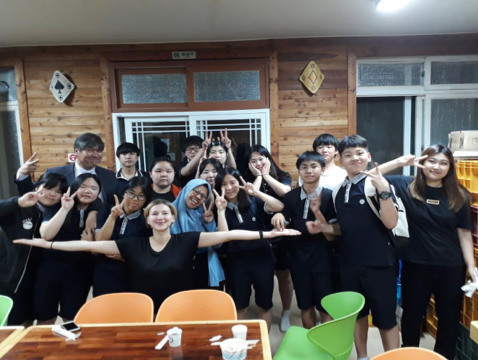 If being interested in a new and alternative way of living which is very different from a "normal and capitalized" life in Korea, the volunteers may obtain some fresh ideas about their life through this program. 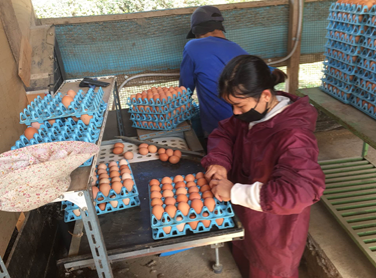 - Poultry farming such as feeding chickens, working in egg-selection facility etc. - 7 to 10 days is subjected to give for day-offs in the middle of the project if asked. Project : Alternative school is an educational establishment with a curriculum and methods that are nontraditional. These schools have more flexible program of study than a formal school. A wide range of philosophies and teaching methods are offered by alternative schools; some have strong political, scholarly, or philosophical orientations, and dissatisfied with some aspects of mainstream or formal education. Green Dream is especially focusing on eco-farming education, independency, peace and community- based education. Therefore, It will be very unique experiences to volunteers who are interested in sharing with your personal background/knowledge and learning unique education system. - Participating classes with students: pottery class and art class etc. - Joining outdoor activities with students: hiking and field trip etc. Project : Local children center in Korea is the facility for the children welfare services. The center provides children not only a shelter after the regular school but also educational cultural opportunities. Most of children in rural area have fewer opportunities to meet foreigners and get a high quality English education compared to the urban area. Also although international marriage is quite common phenomenon in rural area, local residents are lack of understanding of multi-culture. So the children are facing discrimination in the school, cultural and linguistic difficulties. 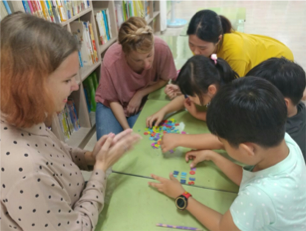 International volunteers can give them chances to interact with foreigners and to understand multi-culture by teaching English and playing with them. Big Tree local children center always welcomes your own class with your talents and ideas. - Historical sites regarding Korean Confucianism can be found in Hwaseong. Food : Breakfast and lunch are asked to make their own but the dinner will be prepared for volunteers. Project : Local children center in Korea is the facility for the children welfare services. The center provides children a shelter after the regular school and educational/cultural opportunities as well. Most of children in rural area have fewer opportunities to meet foreigners and get a high quality English education compared to the urban area. Also, although international marriage is quite common phenomenon in rural area, local residents are lack of understanding of multi-culture. So the children are facing discrimination in the school, cultural and linguistic difficulties. International volunteers can give them chances to interact with foreigners and to understand multi-culture. And English can be a tool to understand Korean local children and interact with them. Especially in Sunshine Local Children center, there are many children who need affection caused by the absence of parent and family matters. Project : Alternative school is an educational establishment with a curriculum and methods that are non-traditional. These schools are more flexible in their administration, which allows for a more variety in educational programs. They often have curriculum elements that focus on improving students’ self-esteem, fostering growth of individuality, and enhancing social skills. NAMUWA School has three philosophies, uniqueness, relationship and creativity; Uniqueness to find out oneself, relationship to acknowledge differences and creativity to be able to change oneself. With these, the school strongly believes that education is not just knowledge but helping students live happily with each other. 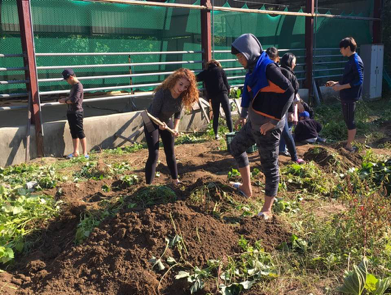 In addition, since the school prioritizes voluntary and practical experience, there are diverse classes which can’t be found in other typical school such as gardening, doing some exercises and ecology games. 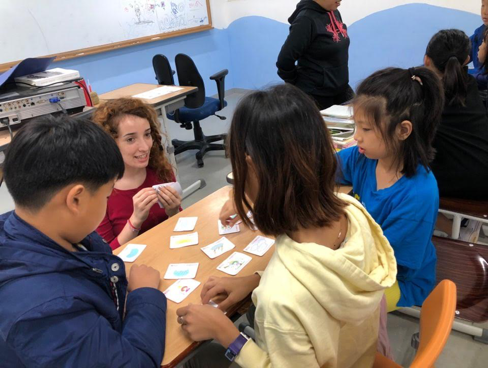 Therefore, the school expects international volunteers who can deeply interact with students, encourage students act spontaneously, bring creative teaching method and deliver the information of various countries, cultures and languages. It will be a very unique experience to volunteers who are interested in sharing your personal background/knowledge and learning the unique education system. - Teaching some subjects to students in English: art, science, math etc. - Participating classes with students: gardening, sewing etc. Project : Donggang middle school was established by Lee, Ha-bok who was based on the philosophy “Reward to my country Korea”; giving opportunity to and education especially to the poor people. This school has 3 principles: Live Independently, Know Correctly and Do Diligently. The school was opened in 1950 and in 2012 with the initiative of former Principal, the dormitory was built wherein the students can stay for free. Now Donggang middle school has 3 grades with one section each. The total number of students is 61 consisting of boys and girls. The school is interested in foreign languages especially English. All of the students study English from Monday to Thursday every morning. They are getting interest in English and meeting foreigners. Therefore, the school expects volunteers who can teach English from abroad. - Participating classes with students: PE, playing instrument etc. Project : Established in 1945, DRB succeeded in localizing development of the first rubber belt in Korea, and has since led the domestic industrial rubber industry. In order to contribute to broader global community and educational value, DRB has founded “DRB Holding Co., Ltd. Campus D” last October. Campus D is attempting to pursue social contribution activities for creating shared values (values beneficial to everyone) in the local and global community, promoting sustainable support of talent development for the Underprivileged, making change of social contribution platform and global social contributions. - Those who have experiences of organizing cultural events. If you would like to participate in IWO MTV project, please contact your workcamp or volunteer organization based in your country. IWO only accepts volunteers through their sending organizations. If you are not sure whether there is a Workcamp or volunteer organization in your country, please contact us (korea@workcamp.org) for further information. We will try to help you to get the right contact and finally apply to our project. After the acceptance, volunteers will receive information regarding the project and Korea. The information will let you know some useful and important information which volunteers should know before arriving to a project site. Below are some comments from the IWO MTV volunteers who had since 2011. Now, it is your turn to make the change in Korea. "The project was an incredible experience. I met many great people and learned a lot about Korea, other people and myself. I only made happy memories with the kind people at Donggang middle school and during my homestay. The students tried their best to speak English and were very open minded." 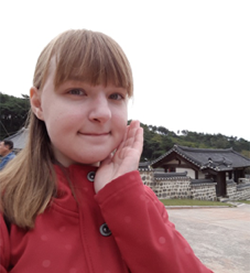 "This is really a great project, you can’t only experience how the real Korean culture is, but also can improved yourself in many different things. I can meet new people, get to know each others day by day, try to understand them, and now I become more open-minded and tolerant with diversity. " "It was nice to learn a different way of life on a chicken farm. And as a team, we also learned a lot about Korean culture. Work here was hard sometimes, but also really rewarding. We learn a lot for our life, such as teamwork, intercultural understanding and about environment. Feelings and thoughts are always shared between the residents of Sanan Village. " "We could find the project really impact on the confidence of the children in the center! And also, they feel even more at ease with foreign people after having spent 3 months with us. We are happy of what we did with them, and we hope to have brought them some curiosity about the world... "
"I really like being in Korea. People are really nice, food is great. I enjoyed this culture and the mix between tradition and modernity. And sometimes it was hard to confront my European point of view and the traditional Korean point of view. But I think it's also why cultural differences are interesting. Sometimes I would have like to speak more Korean . " I have learnt SO much about Korean culture, attitudes and way of life. I really feel like I experienced a lot of things in these 3 months. I think this school is a very unique and interesting place, while seeing other areas of Korea was also great! I've learnt that I can't always rely on students to be inspired (as I have found possible before). I have been able to compare the equestrian world here with what I know back home. " Copyright(C) INTERNATIONAL WORKCAMP ORGANIZATION All rights reserved.